Light hatchbacks with brawny engines have been with us for over 30 years and how we have come to love them. 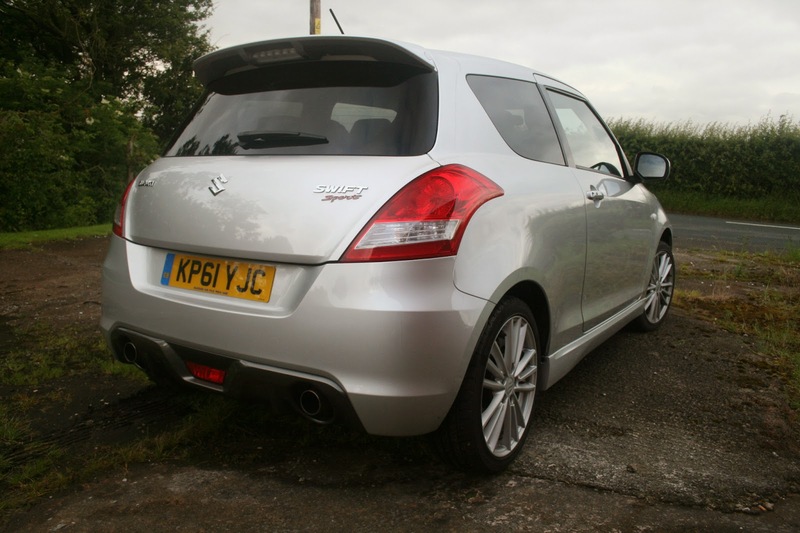 The latest to join the fray is Suzuki’s second generation Swift Sport which has some rather big boots to fill as the original Sport caused quite a stir when it arrived in early 2006. The basic Swift hatch is widely praised for its roomy, well built cabin and neat exterior design and this new Sport adds strong performance and crisp handling to the package. We hit the road to find out how good it really is. The new car has wider tracks all-round for improved agility and to look at it ticks all of the right boxes. The front is dominated by generously proportioned HID Projector headlights that stretch way back into the wings, an imposing mesh grill and cool finned fog light surrounds. the Sport adds lowered suspension, sill extensions, eye-catching 17” alloy wheels, a boot spoiler and best of all a racy lower diffuser which houses the twin exhausts. Press the small button on the chunky door handle – no key needed here – open the door and jump into the driver’s seat to admire the view. The cabin is neatly laid out with clear instrumentation and although the material quality on offer isn’t the best, it feels really well constructed. Red stitching on the meaty leather covered steering wheel, gear knob and seats lift the mood- reminding you of the cars sporting aspirations. The front seats themselves are wonderful with their thick bolsters that offer plenty of support during enthusiastic cornering. The dials also continue the sporty theme with their metallic surrounds and red and white graphics. Cabin space is decent in the front but less-so in the rear. Headroom in the back is fine but legroom is restricted if anyone approaching six foot is sat up front. Access to the rear however, is easier than a lot of 3 door cars as the front seats pivot and slide right-the-way forward. Annoyingly the seats do not return to their original position so need to be re-adjusted every time someone enters or exits the back of the car. Boot space is adequate at 211 litres extending to 512 litres with the rear seats folded but is hampered by a huge load lip. It’s more than enough for a couple of weekend bags. Usefully there are also a quite a few well placed storage areas scattered about the cabin, one of which is located on top of the dashboard – perfect for storing CDs and keys. Equipment levels are very good for this class of car, keyless entry, digital air-conditioning, Bluetooth connectivity and automatic HID projector headlamps all come as standard. As do essential safety kit including, seven airbags, ESP, and anti-lock brakes with electronic brake-force distribution granting the Swift Sport the coveted 5-star Euro NCAP rating. It’s also nice to see cruise control on a car of this kind which is a boon for motorway driving. Dip the clutch; push the Engine Start Stop button and the throaty 1.6 litre 136 bhp engine bursts into life. Rev the engine a little and the roarty exhaust note makes itself known. With 118 lb ft of torque on offer from 4,400 rpm and a 0-62 mph sprint taking 8.7 seconds you aren't going to be winning any records. What it lacks in outright pace it more-than makes up for in character and usability. 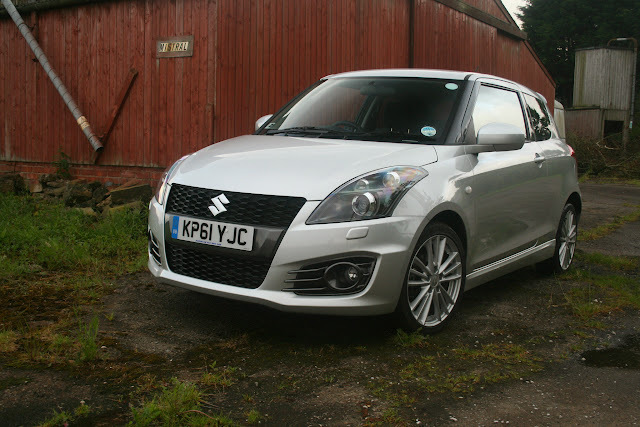 Thanks to a beautifully snappy six speed gearbox making Swift - as the name suggests - progress is easy. Where in rival cars with more power and turbos you can floor it in any gear for fast getaways, the Swift Sport needs to be revved. Power delivery is smooth and progressive but everything starts to change when the engine reaches around 4000 rpm. The soundtrack suddenly deepens and then a good kick of thrust follows and continues right up until the 7000 rpm redline. 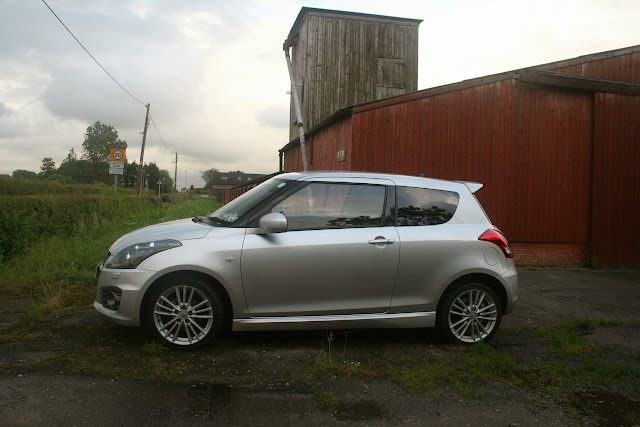 At this end of the spectrum the experience is very addictive as the Swift seems to love being pushed hard. This continues when the going gets twisty too. The Swifts steering is perfectly weighted for all driving conditions. Around town it’s light and accurate, at higher speeds and when cornering it weights-up nicely. There’s also lots of feel so the driver always knows what the front wheels are doing. The Swift is also incredibly rewarding with tightly controlled body movements and high levels of grip which a chassis that always feels poised and agile. If you do approach a corner too fast, the car gently slips into understeer but with some careful dialling in of the throttle the nose tucks nicely back into line. The disc brakes all round also do a great job of scrubbing off speed with a satisfying feel to the pedal. When you’re not in the mood for some spirited driving the Swifts engine remains hushed and refined. Comfort levels are also surprisingly good with a firm yet compliant ride that does an admirable job of soaking up the UK’s pockmarked roads. The impressive comfortable levels make the Swift an appealing long distance companion thanks also to low levels of wind and road noise and the standard fit cruise control. At £13,499 the Suzuki Swift Sport is priced to undercut the MINI Cooper and Fiesta Zetec-S by up to £2000 which represents superb value for money. It is also better equipped than both. Running costs are also not be sniffed at with a combined fuel consumption of 44 mpg which we were able to achieve while the car was with us. Furthermore noticeable improvements have been made over the previous model to the emissions which are now down to 147g/km equating to Band F which will cost owners a reasonable £135 per year. 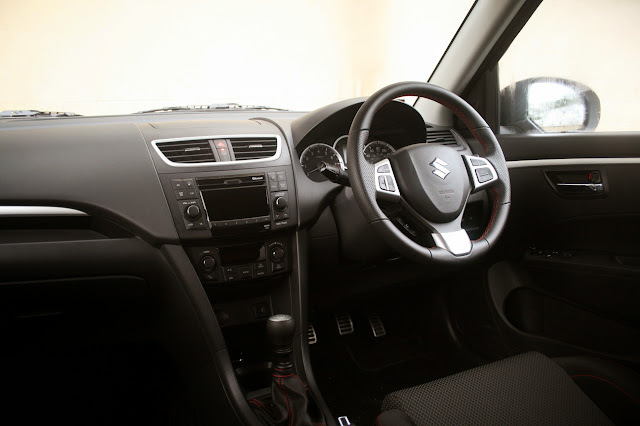 Suzuki have cleverly managed to improve the car in all of the areas of weakness previously such as its poor ride quality and refinement whilst making improvements in running costs and emissions at the same time. It offers buyers an exhilarating blend of crisp handling and frisky performance. It is also impressively refined and its low asking price represents undeniable value for money. Some drivers will wish the Swift had more power but we feel the power on offer is certainly good fun and suits the character of the car well. The only minor weaknesses are in cabin space and interior quality where some rivals offer more but this doesn't detract too much from the otherwise superb all-round package. Review by Rob McSorley of DriverVibe.